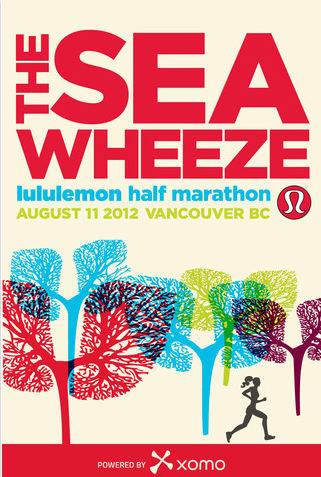 The SeaWheeze Tackle Box Training Program launches today along with the SeaWheeze 2012 App on itunes which allows you to keep track of your training and progress on your iphone. It’s pretty cute so far but I haven’t dug around the app too much since I literally just downloaded it. Week one of the program calls for a 5 mile run for the long run and a bunch of different styles of yoga. My schedule is pretty full with Crossfit and running so I doubt I’ll get a chance to get to yoga on a consistent basis, although I do like to drop in at the local Bikrams studio once in a while. I wish there were more options under the activity function besides yoga so that I can ad in the crossfit I’m doing as my crosstraining.